Magna International is the creator of a number of Cadillac components that have allowed the company to reduce the weight of its vehicles for performance gains as well as fuel savings. Magna supplies Cadillac with lightweight parts such as carbon fiber hoods, like the ones found on the new 2016 2016 ATS-V and CTS-V. 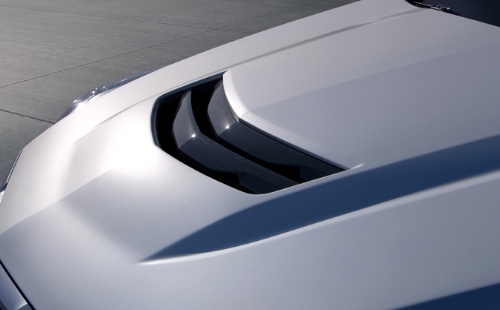 The hoods are more than 27 percent lighter than aluminum hoods and 72 percent lighter than steel hoods. Magna also develops aluminum oil pans jointly with GM. This includes the transmission oil pan for the first-ever 2016 Cadillac CT6 — which is said to be lighter than even the smaller CTS. The outcome is a weight savings of about 60 percent compared to steel. Magna also manufactures 13 high-pressure aluminum die-cast components for the body and chassis of the CT6, creating one of the most advanced body structures in the automotive industry.